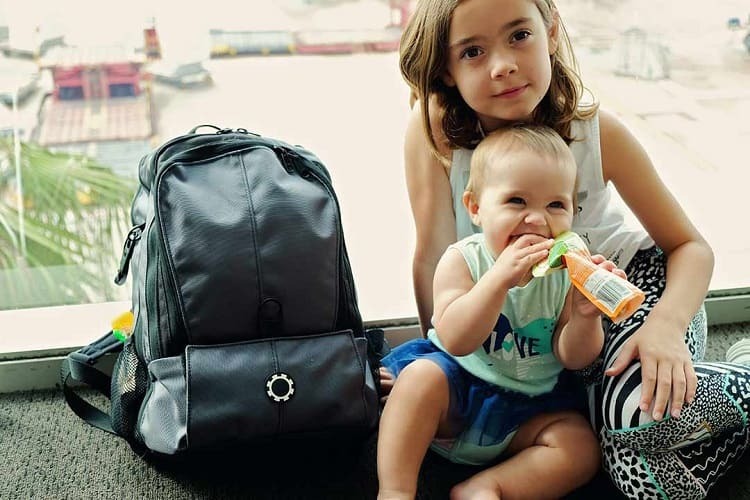 Are you looking for the best travel diaper bag in 2019, then Dadgear backpack diaper bag has got you covered! There are tonnes of awesome diaper bags on the market today, however not many are as versatile, spacious and comfortable as this one. Dadgear backpack diaper bag sits rightfully at the top of the charts everywhere. 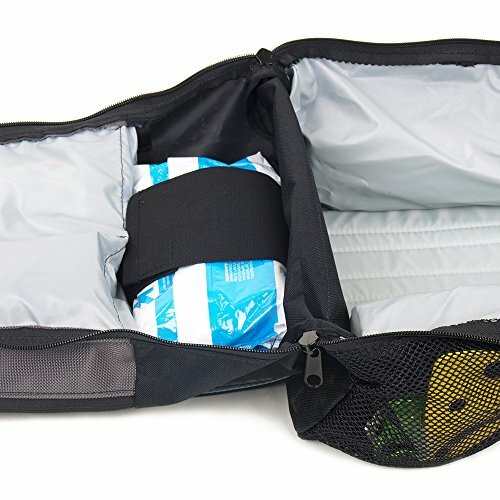 Best travel diaper backpack in 2019! This Dadgear diaper bag is undoubtedly the best diaper bags this year! As the name suggests, Dadgear diaper bags are specially designed for Dads. My Dadgear backpack diaper bag has gone all over the world with us and I am proud to say, it has been the best backpack that I have ever had! Talk about space, comfort and lightweight. Dad Gear Diaper Bag has travelled with us to three continents so far and went on countless hikes. The Dadgear diaper bag is a very sturdy, built from scratch resistant fabric and comes with very well padded shoulder straps and the back panel. 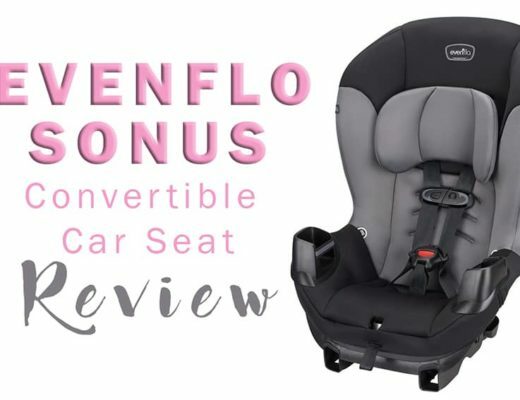 This diaper bag has an easy access clamshell design with plenty of external access pockets, including easy access to diapers, wipes and bottles (4 or more). 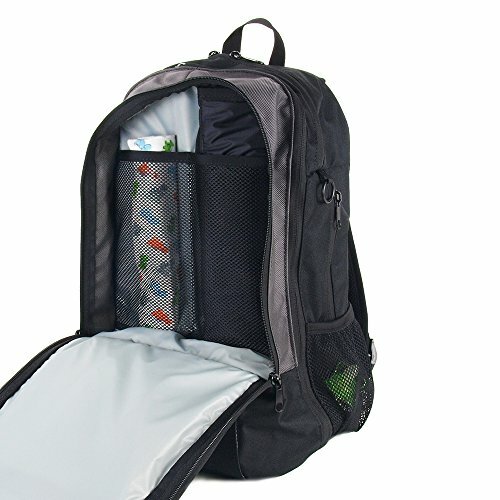 This Dadgear Backpack Diaper Bag has been designed with absolute comfort in mind. It doesn't matter how much stuff you pack into the backpack, the padded back and the shoulder straps absorb all of the weight and keep the backpack sitting comfortably. I have walked with this backpack fully packed, whilst hiking and had no dramas at all! Well built! 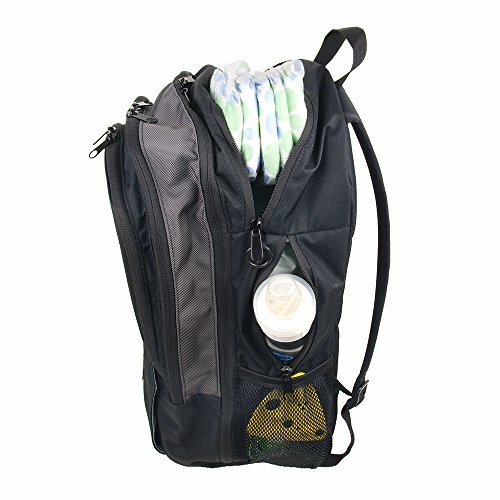 This diaper bag is a large backpack diaper bag. 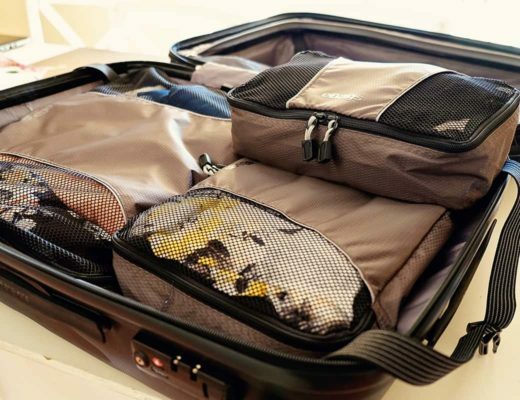 The clamshell design allows for a quick and easy access to all of the necessities. There are tonnes of easy access pockets and plenty of space for 4 or more bottles as well. Having an easy access to all of the essentials that you may need to look after your little one, make this backpack diaper bag the best purchase that I have made. Simply pack it to the brim, though it on your shoulder and off you go, hands-free. Lightweight and durable: This diaper bag is super lightweight, but built to last. When fully packed, you will have no issues with the fabric at all. 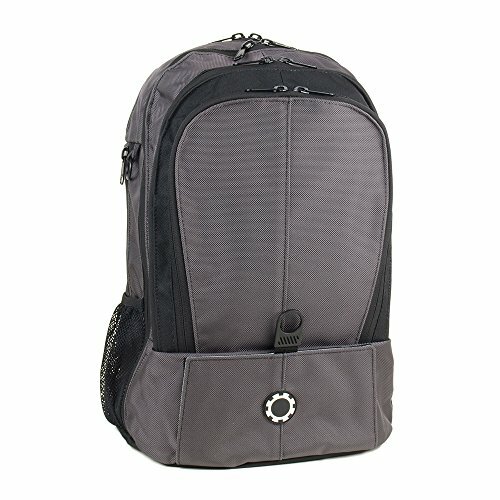 Affordable Price: Yes, you will pay a little extra for this backpack, however, I would not hesitate here. Quality of the Dadgear diaper bag backpack speaks for itself. 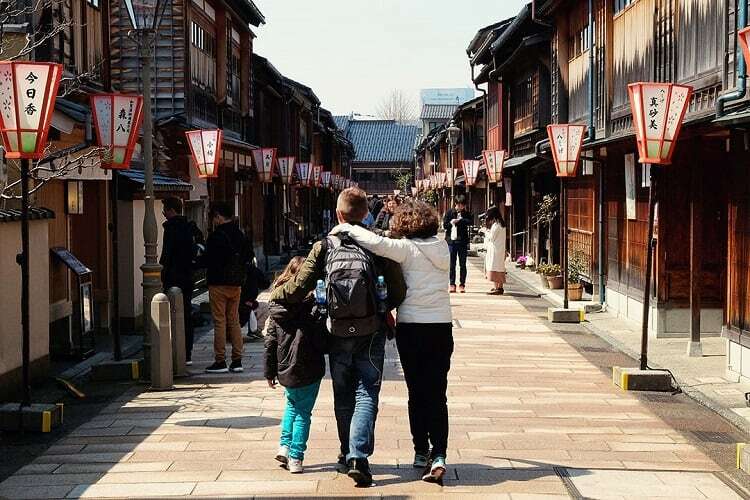 Comfort: When you carry around your baby and the fully loaded backpack, comfort can be an issue. Not here! This backpack is very well padded on the back panel as well as on the shoulder straps. 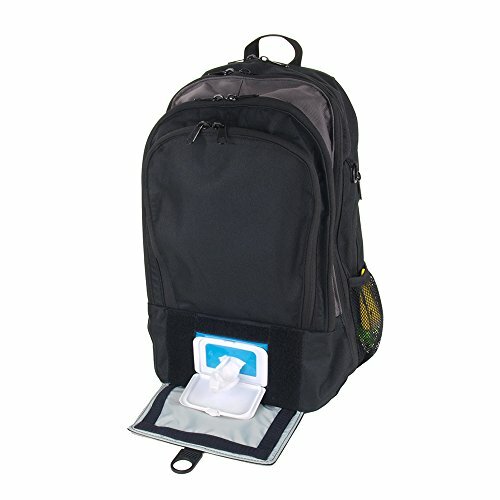 Easy to access pockets: There are a number of pockets that have quick and easy access to the diapers, bottles and wipes. 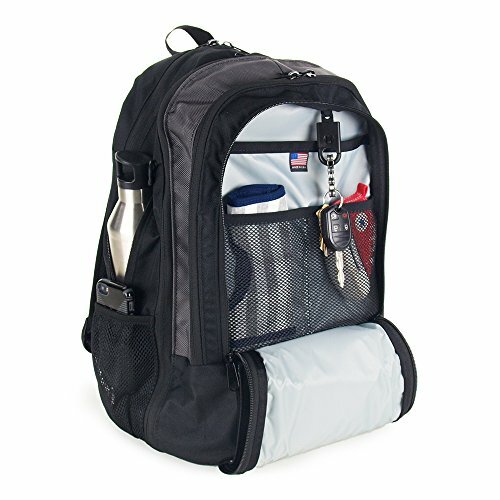 The clamshell design of the backpack allows for an easy access to all of the other necessities if need be. Stroller straps included. Yes, you will feel a pinch in the wallet, but it is worth it! I love my Dadgear Backpack Diaper Bag and I am not ashamed to say it. Haha… This backpack has gone through three continents with us and continues to be the best travel diaper bag that we have ever had! The best thing about his diaper bag is that I can wear it and it still looks and feels like a standard backpack (dad-friendly). 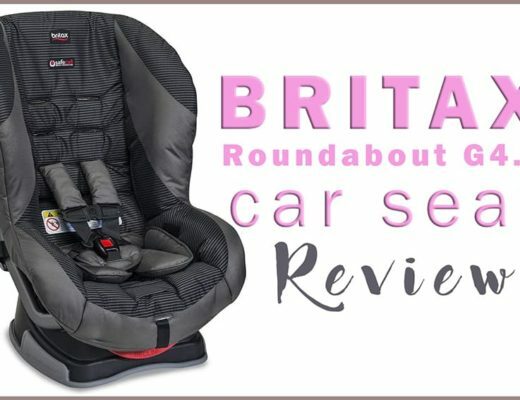 Not to mention all of the easy to access compartments, more then you need for the baby, really. Together with all of the baby essentials, we always also fit a camera, water bottles for us, as well as the toys and snacks for bribery. All of the essentials! I love this backpack and I know that you will love it too! >>> Click here to check price and styles now or simply click on the button below. 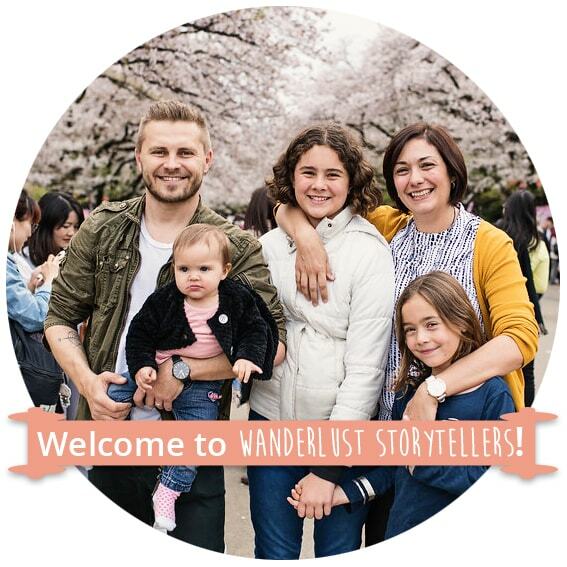 Disclaimer: wanderluststorytellers.com is a participant in the Amazon Services LLC Associates Program, an affiliate advertising program designed to provide a means for sites to earn advertising fees by advertising and linking to amazon.com and other Amazon sites.